In just a few short weeks (or less!) my good friend Nikki, from Seeded at the Table, will be welcoming home her second baby boy! Of course we couldn’t let this opportunity for a celebration to pass, so Kelsey, from Apple a Day, and I joined forces to host a virtual shower in Nikki’s honor. Because Nikki recently moved to Mississippi and has been getting in touch with her Southern, we came up with what we think is the perfect theme – Sweet Southern Boy! Nikki was one of the first bloggers I got to know “in real life” after starting Sunny Side Up several years ago. I could immediately tell that she was a wonderfully genuine and friendly person. She even helped to convince me to attend my first food blogging conference and we, along with Joelen, were roomies at the Foodbuzz festival in 2011. 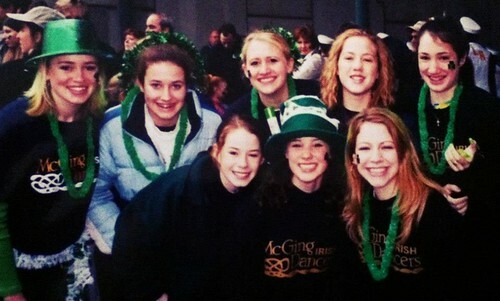 Even though we had only ever “talked” online as soon as we met in person it was like we were old friends. We laughed (and ate!) our way through San Francisco. She continues to be one of my all-time favorite bloggers and great friend. I can’t wait to for her to have this new sweet baby and expand that beautiful family of hers! Congratulations on your Sweet Southern Boy, Nikki! I couldn’t be happier for you!! To celebrate Nikki’s Sweet Southern Boy, Kelsey and I gathered a fabulous group of Nikki’s favorite bloggers for a virtual shower. 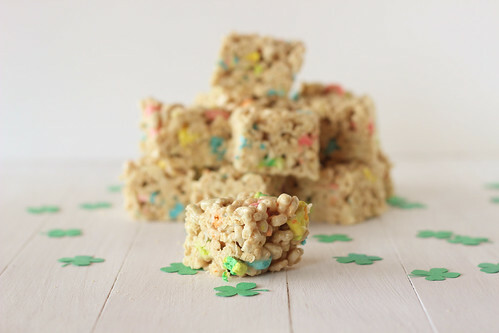 There are lots of delicious treats and some very cute shower decoration ideas. Thank you so much Kelsey and the rest of the shower contributors. I just wish this were a real shower so we could all get together and really enjoy your great contributions! First, my fabulous co-host, Kelsey. 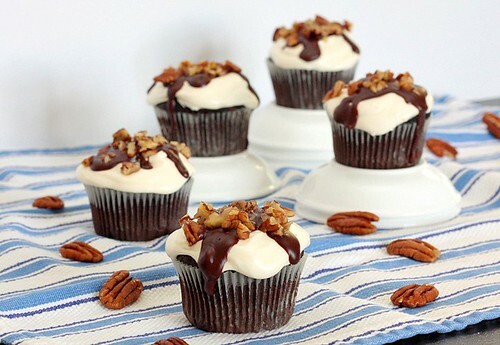 The Mississippi Mud Cupcakes she made are a perfect nod to Nikki’s new home. 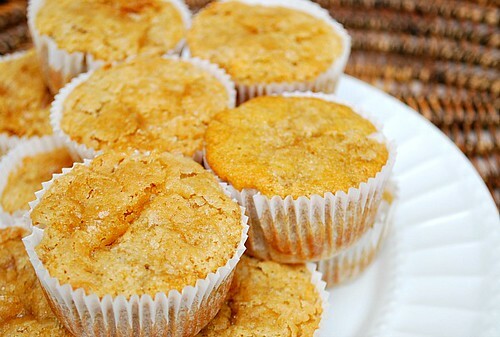 Joelen, from What’s Cookin’ Chicago, made these fabulous Fried Apple Corn Muffins. Yum! One dessert that always reminds me of the South is pie. 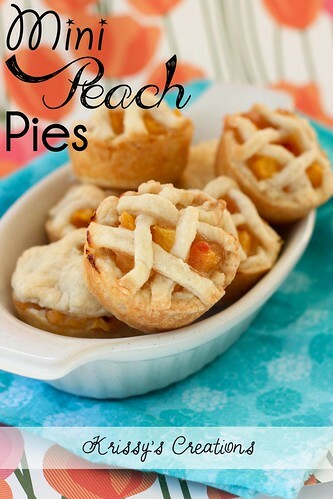 So these Mini-Peach Pies from Krissy at Krissy’s Creations are just perfect for a Sweet Southern Boy themed shower. 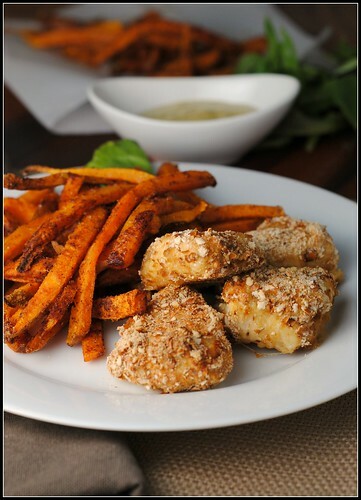 I would love to see these delicious Pretzel-Crusted Chicken Nuggets at the next baby shower I go to. Yum! Brought to you by Nicole of Prevention RD. 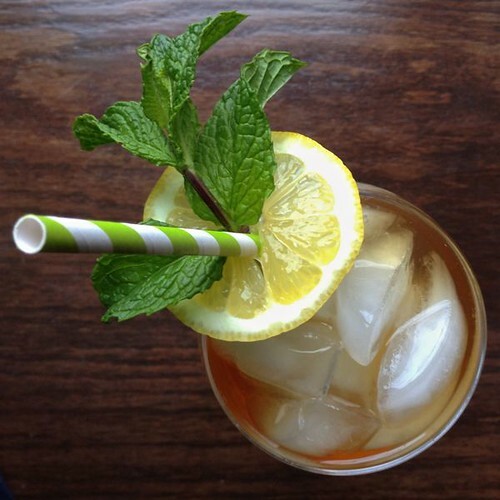 Liz, from The Lemon Bowl, went straight to heart of all Southern drinks with this Sparkling Sweet Tea with Lemon and Mint. 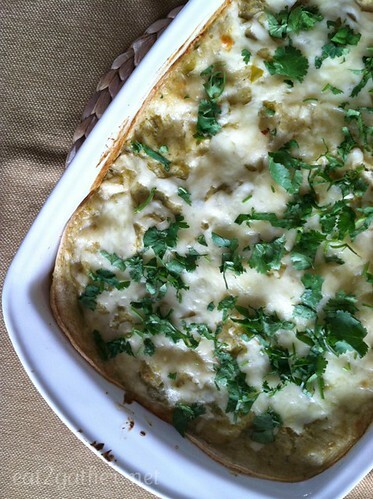 Sheila, from Eat2gather, is a girl after my own heart with these Easy Chicken Enchiladas. 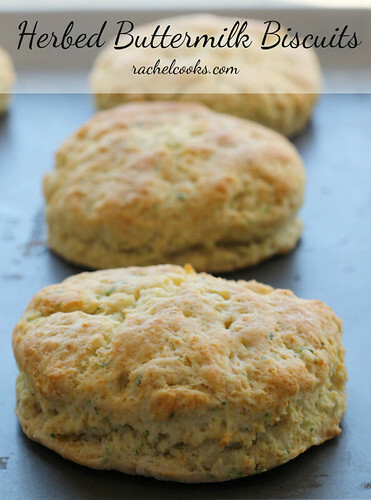 Biscuits are a classic Southern treat, and Rachel’s Herbed Buttermilk Biscuits look amazing! 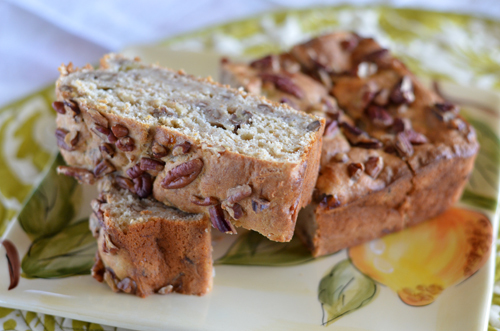 Jessica, from My Baking Heart, baked up this perfect looking Cream Cheese Banana Bread. 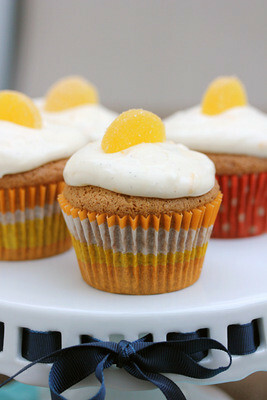 These fusion cupcakes from Krystal, of Mrs.Regueiro’s Plate, are the perfect Southern shower dessert- Sweet Tea Cupcakes. I love this twist on bite size sandwiches that you often see at showers. Mini ham sandwiches with pineapple chutney on buttermilk biscuits from Lisa the Cooking Bride. 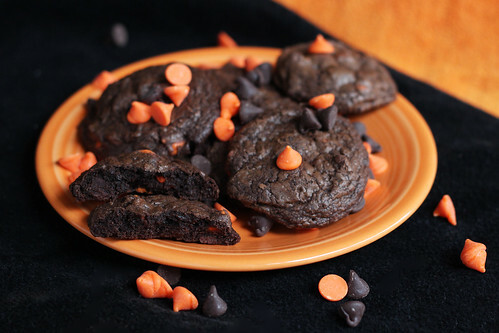 Look how perfect these cookies are! Brought to you by Callie, at Little Morgan People. 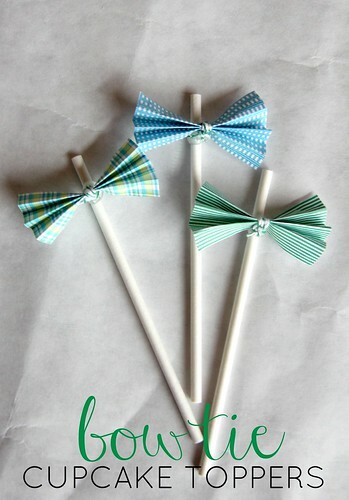 These Bow-Tie Cupcake Toppers, by Brooke from Lemon Drop Shop, would be a show stopper at any baby shower!! 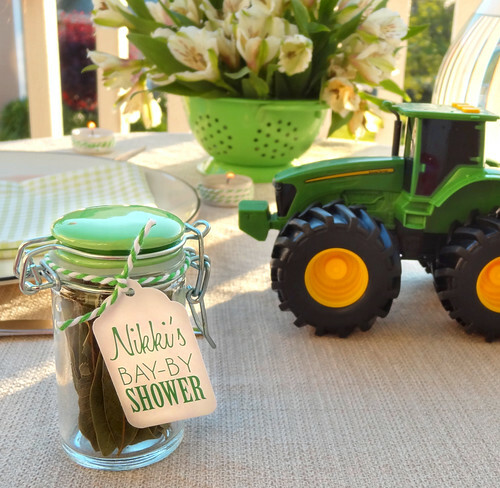 Rebekah, from Twinkle and Twine, contributes this really adorable table setting and shower favor idea for a “Bay-by Shower”! How cute is this?? Finally, for my own contribution, I blended what I see as the ultimate baby shower appetizer and Southern treat. 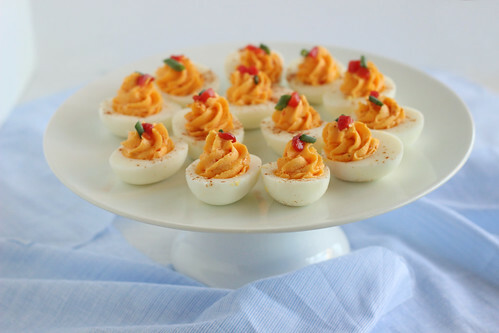 Pimento Cheese Deviled Eggs! Additional pimentos, green onion, and paprika for garnish. Cut hard boiled eggs in half length wise. Remove the yolks and place in the bowl of a food processor. Process for 10-15 seconds. Add the cheeses and mayo and process in 5 second increments, until the cheese is mostly blended. 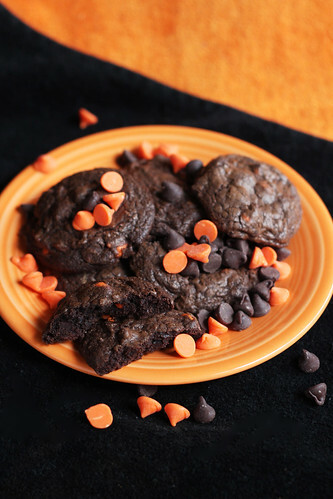 Add a tablespoon of milk and process until the texture is smoother (this may require another tablespoon of milk). 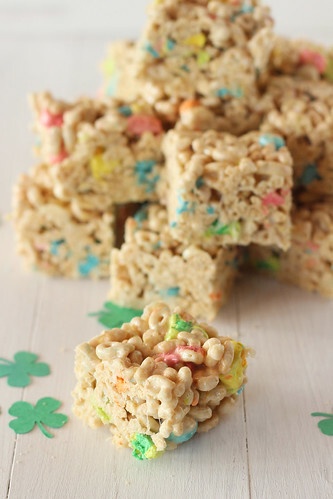 Add the remaining ingredients and process for about 15 seconds to combine. 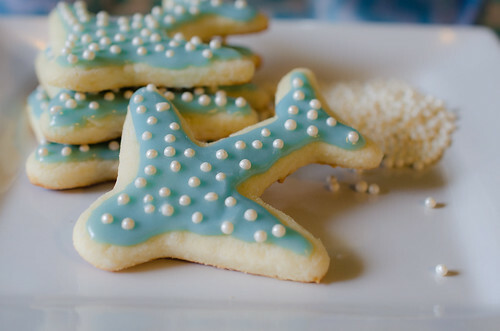 Fill a pastry bag, fitted with a star, with pimento cheese mixture*. Use the pastry bag to fill each egg white half. Garnish with additional pimentos, green onion, and a dash of paprika. *Alternatively you could just use a spoon to fill the eggs, or a Ziploc bag with the corner cut off. 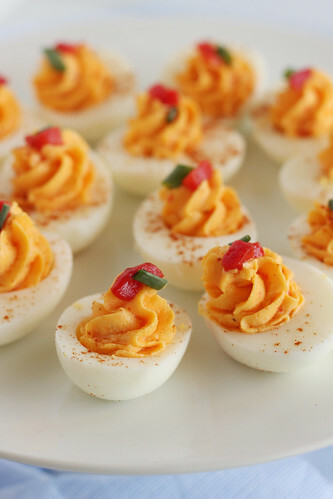 Note: This will make more pimento cheese than you will need to fill 7 eggs (14 egg halves). You can either make more eggs and discard the extra egg yolks, or you can just use the delicious filling like classic pimento cheese spread on crackers or even as a sandwich!